For a new Youtube channel I need a main banner and a Logo. The youtube channel is not yet existing but I need following requirements for the grafics. 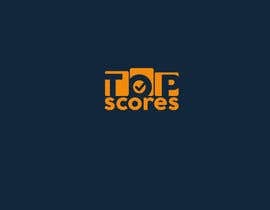 #channel Name will be "Topscores"
#channel Topic will be about top rankings of brands in a certain time for example a video could be "top smartphones from 2015 to 2020"
-->Main Banner shall include the Name "Topscores"
please consider correct dimensions for youtube banner like mentioned! Take a look on #50. thanks. #2 I like the logo so far as it is the first one to really adjust on the requirements BUT Banner is missing here! Thanks for the feedback, i will update it soon. Did you like symbol or should I change it?? please be more creative and put in areas of channeltarget. eg. target are of the channel like bar charts, scores, rankings. I can not see how this should reflect our target are of the channel like bar charts, scores, rankings.